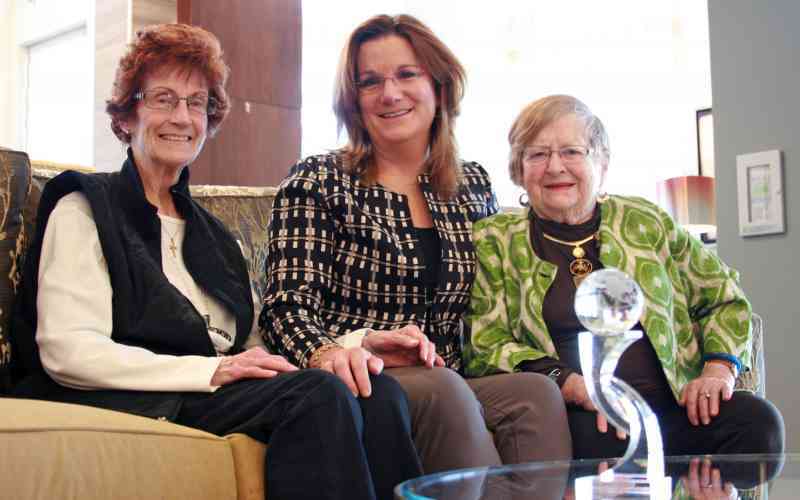 Our sister community, Daylesford Crossing in Paoli was recently recognized internationally with a prestigious Globals Award for “Best in the World Over 50s Housing.” The award was presented at a ceremony in London, England. Daylesford Crossing opened in August 2015. The Globals celebrate the best company performances in the over-50s housing sector worldwide and are awarded by the UK-based Over 50s Housing Publishing Group, which reviews standards and trends in senior housing in more than 200 countries every year. The Awards focus on performance, recognizing and embracing new trends, market leadership, inspirational performance, and the customer experience. Now in it’s sixth year, the annual event attracts hundreds of nominees annually. In 2016, more than 950 entries were reviewed before the winners were announced. Photo: Sage Senior Living President Kelly Andress with Daylesford Crossing residents (L-R) Joan Fullam and Estelle Abrams.